Perth Makeup Artist here. My name is Francesca and I love enhancing peoples features to create pretty makeup looks to help you feel your absolute best! Classic and timeless makeup artistry is my signature look, so you can rest assured you can look back on your special occasion photos years to come with confidence. Looking for a Perth Makeup Artist? If you are looking for a professional Perth makeup artist you have come to the right place. With over ten years experience in the industry Francesca is available for all aspects of beauty and also bridal makeup. Francesca believes makeup should be personalised to each individual. Most importantly make up should flatter and enhance your features rather than cover. Makeup is also a reflection of your true personality therefore Francesca works closely with each client to achieve the look they want. Read more about Francesca’s makeup artist training and history here. Come, sit back and relax at Francesca’s studio inside Honey & Chaos in Coolbinia while she works her magic. School ball makeup can be soft, natural and pretty and also glamorous dark and dramatic! You can also select from a wide range of lashes to compliment your look. At your appointment Francesca will discuss the look you want and also offer suggestions. A look will be based around what you like, what will work with your outfit and the nature of the event. To make it even easier you can book your makeup appointment instantly via this link: book makeup application in studio. Be sure to book your appointments in advance to secure your ideal time because Saturdays can get very busy. Appointments are available by appointment only. Mobile Perth makeup artistry is also available for weddings and group bookings. Most brides want to look glowing and above all gorgeous on their special day. Bridal makeup requires the product to last all day whilst the products applied also need to photograph beautifully. 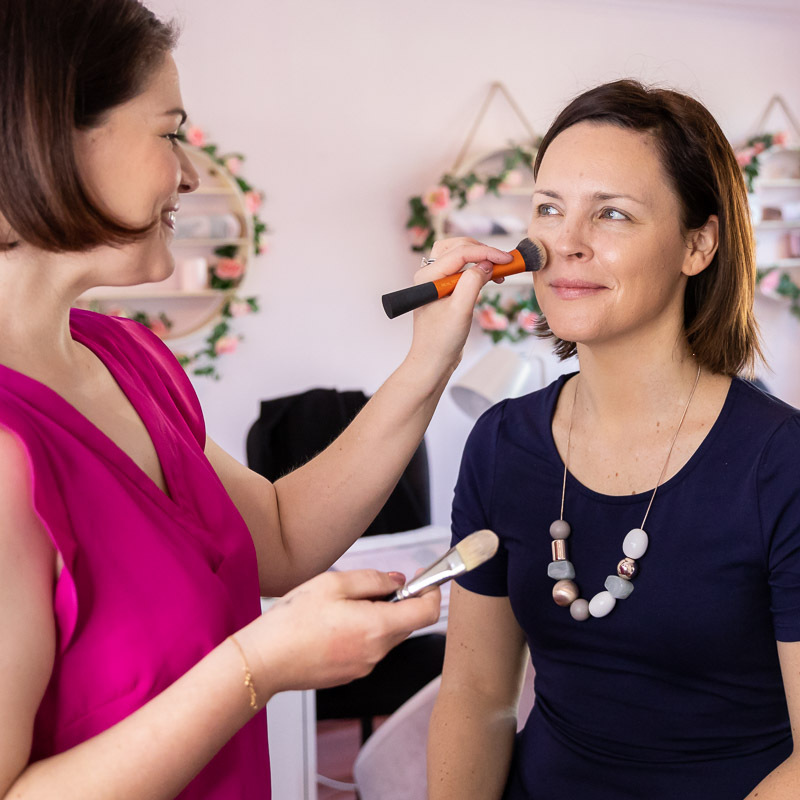 Francesca has been the trusted makeup artist for many weddings in Perth over the years and has put together a list of Wedding Makeup FAQ’s here. If you are wanting to book a hair and makeup team together, contact me as although she is purely a makeup artist, there are amazing hairdressers whom she trusts and works with. Makeup for this beautiful bride Trudy in Ayers Rock! Not sure what sort of products to use on your wedding day or special occasion? Having worked and trained with many leading makeup brands over the years including YSL Beauty, MAC Cosmetics, Napoleon Perdis and Bobbi Brown, Francesca knows what to use! She has a wide range of professional and quality makeup products which she trusts and uses on her clients. Furthermore she also is a Certified MAC Cosmetics artist and carries a range of MAC Products, as well as, Fenty Beauty, Bobbi Brown, Makeup Geek, Chanel and Anastasia Beverly Hills just to name a few. Francesca’s Perth makeup artist studio is inside Haus of Style where fashion and beauty meet. You can buy a new outfit, book in to get your nails and eyelash extensions in addition to getting your makeup done! Check out the other great team and services offered inside Honey & Chaos . The studio is located less than 5 km from the Perth CBD and also conveniently close to hair salons. Your happiness is what Francesca strives for on your special day as well as ‘No Hidden Fees’ and competitive pricing. Check out some testimonials or five star reviews from other happy clients. Are you needing recommendations for other professional and reliable beauty experts to help get you ready for your event? If its a hairstylist, photographer or brow expert, check out our list of recommendations. Don’t forget to also follow Francesca’s brand new Facebook page and Instagram. Sign up to her mailing list below and receive the latest promotions and makeup tips because who doesn’t love promotions!